Low, flexible staff number – only nine long-term employees. It’s probably not an exaggeration to say that every business person dreams of owning a business in which demand for the product they’re selling is virtually open-ended, is on the increase, and requires almost no effort to generate. Owning such a perfect, low risk business such as this, probably explains why it has only had 2 owners since its inception some 30 years ago. The initial owner successfully managed the business for around 10 years before selling it to the current owner of 21-years. With the average keep-time for a business sitting at around 5 years, it becomes abundantly clear this is not your average business. In fact, after you receive our full report, you’ll quickly understand how you also can potentially double the existing profit at neck breaking speed by simply riding on the back of Australia’s multi-billion dollar industries. With its long-established authorised supply arrangements, coupled with a large repeat order blue chip local and national customer base that reads like the who’s who of industry, you’ll know you have found the perfect low-risk business. In fact, it’s SO SAFE you could BET YOUR LIFE ON IT!. This division of the business wholesales and distributes a wide range of products, from heath to Proactive products. Being established for over 30-years in the provision of high-quality products, the business has forged valuable partnerships with a board base of suppliers and repeat-order blue-chip customers. The diversified range of suppliers with which the business deals, provides high quality and reliable products at all points in the value ladder, without resorting to cheap imports. Working with its key suppliers, the business is also able to offer national distribution from both is own 2000 sqm premises in WA and interstate supplier direct to the customer. The warehouse itself includes a dispatch bay, extensive Dexion shelving, ample storage and sales expansion capability of over 100%. With no aggressive marketing plan in place, the business has experienced continued growth since its foundation; growth which has been entirely driven by organic demand from its customer base. Adjoining the warehouse is the dedicated in-house manufacturing production line containing three busy automatic machines and two full-time staff, constantly working to meet the high incoming orders that generate a massive unheard of 90% + gross profit margin. This division permits the business to provide a unique level of speed and efficiency to out-match most of their competitors. Cash and Carry: A purpose-built showroom under the main roof satisfies on-demand walk-in customer needs, showcases products and provides customers with demonstration facilities. QA systems keeps all divisions operating smoothly when the owner is taking time out of the business making this an ideal business to place under management if the new owner so wishes. And because the business is ISO9001:2015 accredited, it provides another distinct advantage over most of its competitors. This, together with well-established written processes and cross-trained staff, enables day-to-day operations to run smoothly without direct management by the owner. You’ll certainly be overwhelmed by this slick modern facility with an opulent upstairs generously windowed executive suite and spacious boardroom, large management offices with a super clean, well organised, modern warehouse facility repeat with extra room to take advantage of the imminent growth that lies ahead. …than to be a supplier of products which clients are financially and legally bound to buy. This business is safer than other wholesalers because it locks-in customers through offering fully-fledged solutions rather than simply distributing a range of essential products. Although its core revenue stream is derived from business-to-business wholesaling and distribution of legally required products, it was the first company of its type to purchase three robotic machines to manufacture a range of products specific to its customers’ legal requirements. As a result, it has amassed a large, loyal client base which generates an exceptional 95 percent repeat order flow. The business has developed long-term partnerships with its clients, many of whom are national and Government departments who, in order to comply with statute laws, simply cannot do without these products. What’s more, its proven cutting-edge customer lock-in ordering system, means customers are ‘embedded’. For customers, this creates huge savings in processing costs and consequently creates a high-switching cost. The business also has a number of long-term supply contracts with Government and corporate customers which creates further lock-in. Adding to competitor lock-out, the business has a broad range of authorised distributorships, so customers seeking a particular brand are referred to this business. … but none will match this business’s high future growth prospects and low-risk qualities. The old saying was never so true – You get what you pay for! As if it couldn’t get any better – NEW captured customers in the first six weeks of this financial year, together with evolving existing customer activity, clearly confirms you are just in time for the next growth phase. 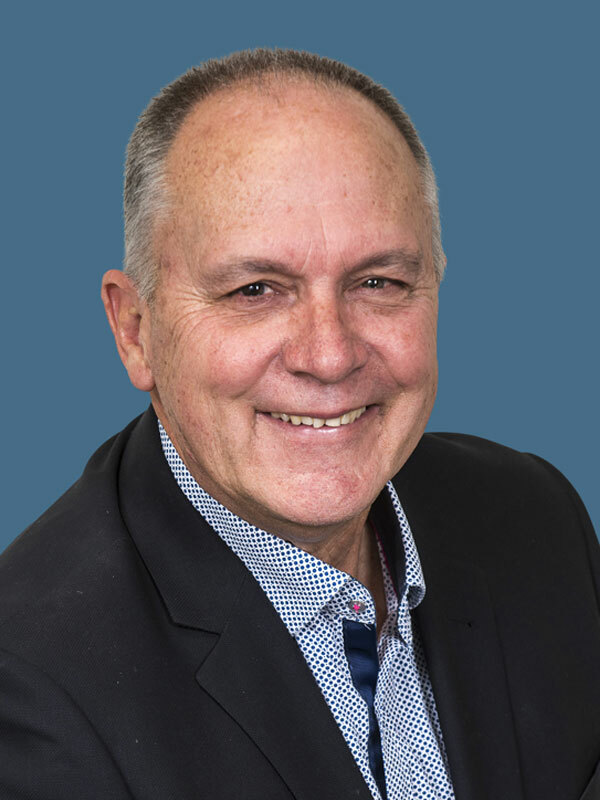 For example – In the first six weeks of this financial year, these new customers opened orders exceeding $182,000 and are expected to add more than $1.4 million to sales over the next 12 months hurling the business into another sales stampede. 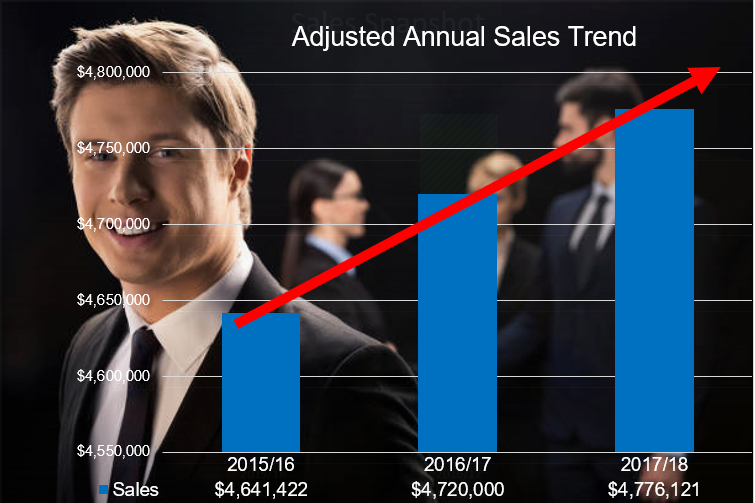 Despite managing the business on a conservative basis, the year-to-date sales performance confirms sales have increased to a new level, which provides the owner with real evidence the 2017/18 profit upon which the purchase price was based will be substantially higher if he was to retain the business until the end of the financial year. With obvious advancing built-in profit from day one, it’s easy to see this business is a real bargain when it refuses to stop growing. As previously mentioned, the business is extremely simple to operate and can easily accommodate flexible working hours for the new owner. Because the current owner’s desire is to retire, he has preferred to let the business coast, and grow organically over the past few years, rather than rely on an aggressive marketing campaign, which the new owner could undertake. 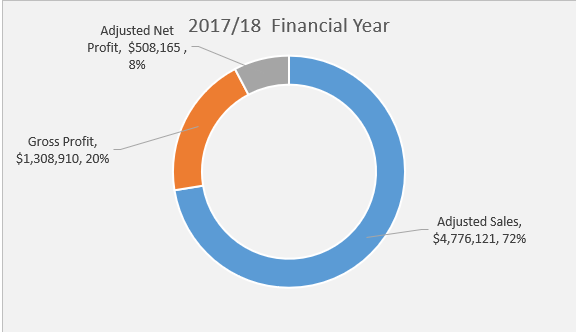 Despite his conservative management approach, the business generates sales well in excess of $4 Million and still has truly VAST untapped potential, not only Locally, but Nationally! In addition to its authorised supplier arrangements, its association with major brands confers on the business a high degree of status amongst key customers, who know this business also has an established distribution power that competitors cannot match. In turn, the business’s customer lock-in and distribution power generates loyalty from suppliers and barriers to entry to competitors. In summary, after you read our full 100+ page highly detailed report, you will have no doubts, because the possibilities for this business are really so numerous, that upon examination, it can be clearly seen that the problem for management is not so much to locate avenues for expansion, but to select the opportunities of greatest advantage from the many available. Don’t Be Fooled Into Buying A High Risk Cheaper Business! All businesses have good and bad points, thus influencing the asking price and the difference between a good or bad sale can be counted in hundreds of thousands of dollars. Some buyers miss the opportunity to secure a safer, higher growth, lower risk business because they are focused on price alone. Buying a business with low-risk features will always cost a little more, but usually provides the buyer greater security, ease of operation and onward-upward profit potential. In comparison, buying an inferior business is nothing more than a gamble which can result in the disaster of losing the full investment. This business is worth more because of its unique low risk features. Here you are buying a low risk lifestyle and built-in growth from day one. Business Is Tightly Held. First Time On The Market In Over 20 Years. Sustainable Competitive Advantage Reduces Risk. Huge Potential Exists to Increase Sales and Profitability – its hardly scratched the surface. You will never find another business for sale that uses its unique business-to-business intellectual property to lock-in daily and weekly customer repeat orders with many customers paying accounts in just seven days. It’s unique. Try and think of a business where customers save HUGE amounts of money just by buying from you. The present owner is well aware the business is about to enter the next growth phase, however, managing the business for the past 21 years – and now reached the age of 61, the owner would like to transition into retirement. He is, however, happy to stay on for as long as reasonably required. A slick modern facility perfectly located, with an outstanding street presence, and an opulent upstairs generously windowed executive suite with spacious boardroom and large management offices let corporate customers know they are dealing with the top dog in this sector which means that you instantly enjoy this top status. The owner has carefully systematised and streamlined every process, so the business is capable of running itself in his absence. 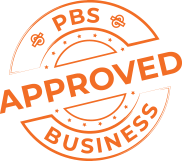 Not only that, the business is ISO accredited, so all the essential systems are well documented and auditable making it as easy as possible to learn and manage. Employing only nine full-time staff. A hardworking, highly motivated effective team of winners. Perfect working hours of just five days per week, the current owner manages the business and still has plenty of time to pursue his own passions during the working week. This brand is very well-known and respected because it has been around for as long as most people can remember! This brand is the GO-TO provider in its sector. The business has been very tightly held, having had only one other owner in its entire 32-year history! That was when the current owner purchased it over 21 years ago. With over Two Hundred industry majors as loyal clients, broadly distributed across many market sectors, this business has rare cross-sector diversification, which means you have Iron clad insurance in the business cycle, as sectors never all move concurrently. This is the best certainty you can get that forward marching sales will remain strong under ALL economic conditions! Its owner has spent years perfecting easy to learn systems so that no experience is necessary for anyone to walk in and take over. It is important to note; the current owners had no prior industry experience before purchasing the business. The vendors are also offering a generous post-settlement handover training period during which full training will be given. This is a highly lucrative low-risk business has enormous growth potential and the kind of stability which will see it weather good times and bad, providing its owners with peace of mind and profits as it has done so for the past 30 years. After you obtain and read the highly detailed report on this remarkable business investment you will have no doubts this business is a once off opportunity – never to be seen again.